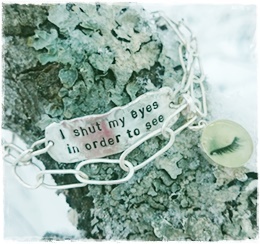 Sterling silver 925 with text tag "I shut my eyes in order to see" (quoted Paul Gauquin, french painter, 1848-1903). Comes with a cool eyecharm. 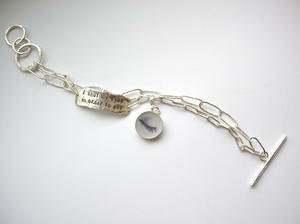 Below you fill in you bracelet length. 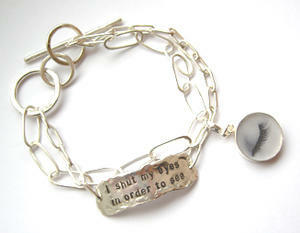 This jewellery is unique since each and every tag is made by hand and melted so that no one looks exactly the same.